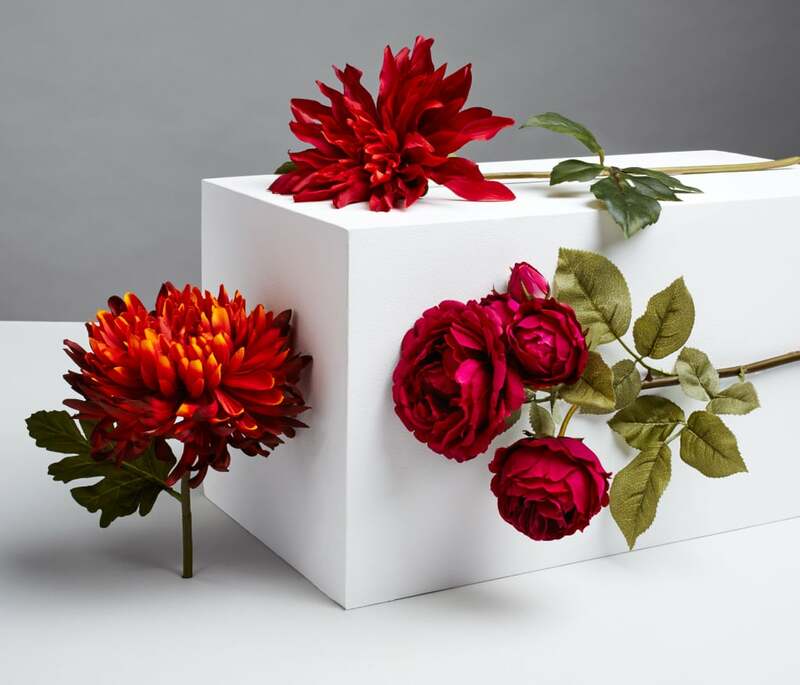 The Surprising Inspiration Behind Fall's Decor Trends? Fashion Week! 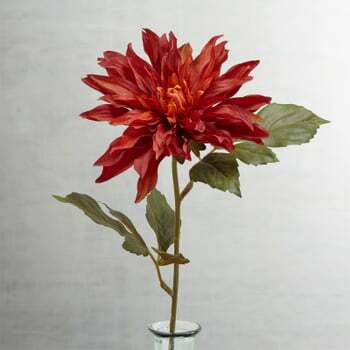 Fall is the perfect season for refreshing your home with decorative accents. 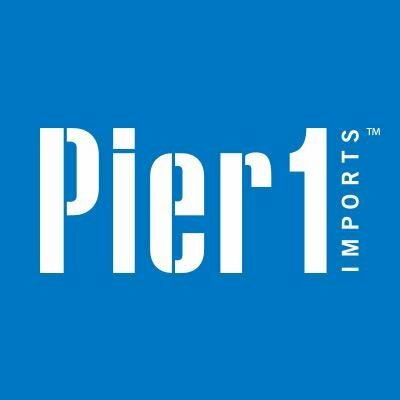 That's why we partnered with Pier 1 Imports to share key tips for giving your home a fashion-inspired makeover. Fall is the perfect season to experiment with your style thanks to inspiration from Fashion Week. However, if you're a true sartorial guru, wearing the latest trends simply isn't enough. If you're flipping for 2017's dark florals or swooning over sophisticated velvet, why not incorporate these fashion fads into your closet and your home decor? 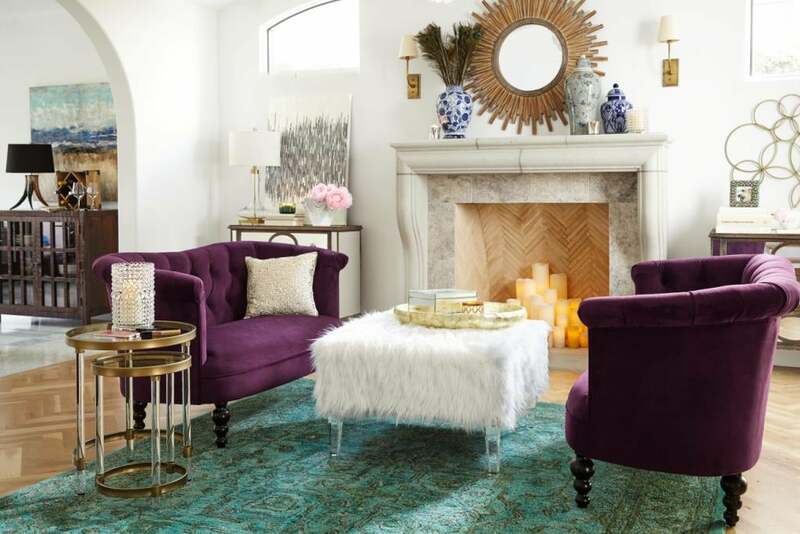 Read on to see how five Fall fashion trends can leap off of the page and into your apartment with a few strategic decor choices. 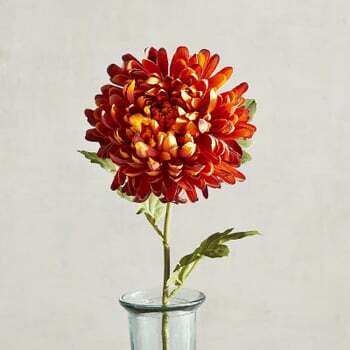 If you've fallen head over heels for scarlet this season, up the visual temperature of your apartment. 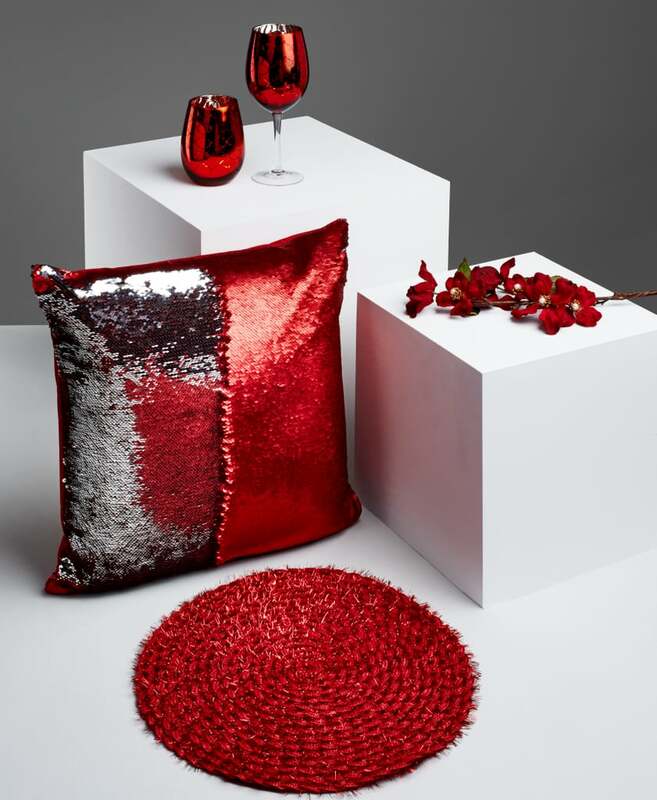 Fashion Week saw the rise of ravishing red shades both on and off the runways, manifesting in the form of sequined pants, shimmering pleated skirts, and crimson velvet. 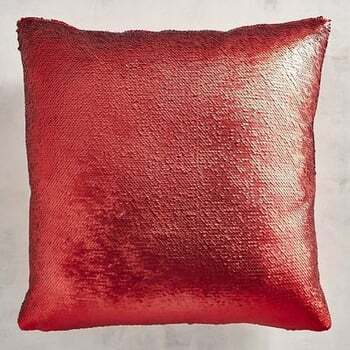 If sequined pants are your style, emulate the bejeweled look in your home with a sequined pillow. Creative crimson ensembles with unconventional textures ruled the runways. 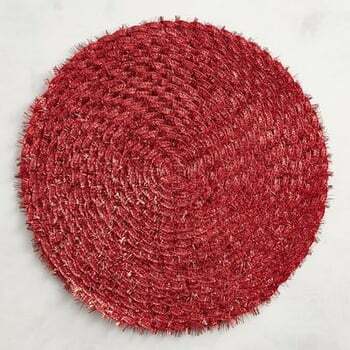 Incorporate the look into your home with bright, embellished placemats, and liven up any meal. 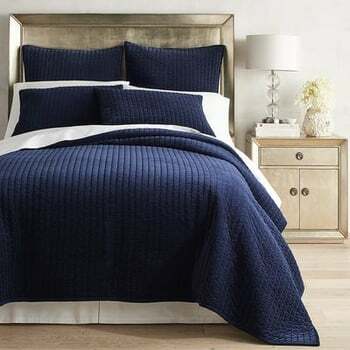 The streamlined suits so beloved by top street style stars are excellent inspiration for sprucing up your home design. 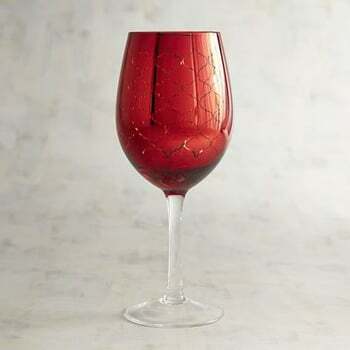 Replicate their simplicity, and add a pop of color to a cocktail party, with glassware in shades of vermilion. Chocolate brown is a mesmerizing, moody hue that lends instant interest to any outfit — or any room. The color reigned on the runways in the form of ankle-grazing coats and accents like suede boots— all easy departure points for interior design. 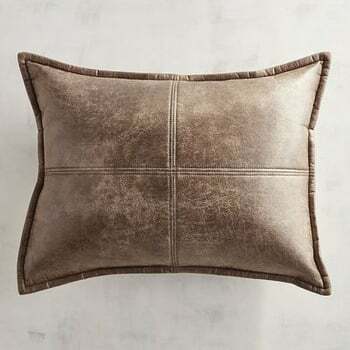 If you can't live without your distressed leather bomber jacket, lend your home similar warmth by throwing a pair of rugged leather cushions on a classic couch. 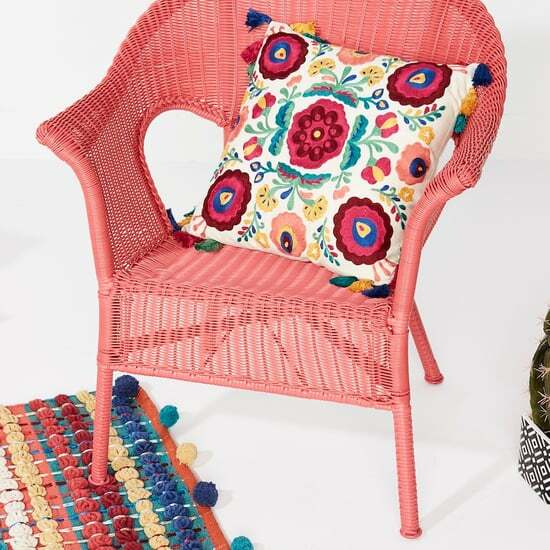 Take inspiration from the season's bold bohemian fashion trend. 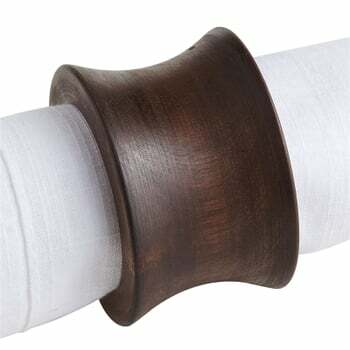 Channel your favorite free-spirited designer by adding wooden napkin rings to each place setting at your table and burning scented candles. 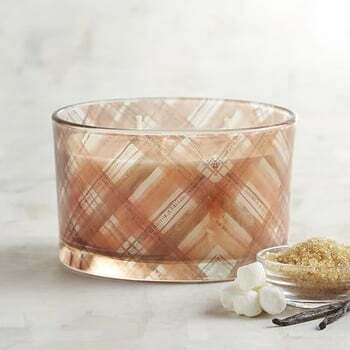 Hammered bronze jewelry made a chic comeback during Fashion Week, and the trend can add interest to your dinner table. 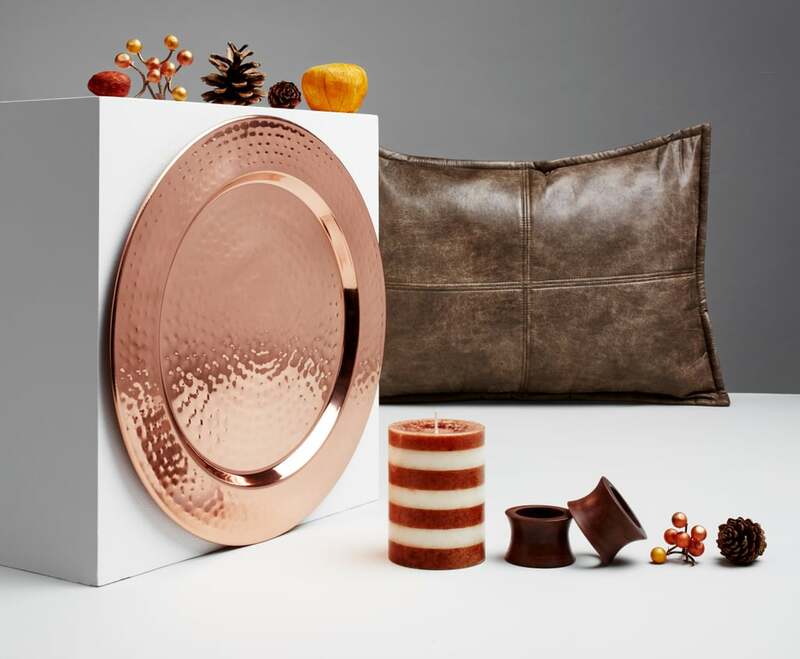 Bolster a beautiful tabletop by placing richly hued, hammered-metal chargers below each plate. As any street style star will attest, nothing screams glamour quite like the flash of gold on a menswear-style watch or the glimmer of a silver buckle on a belt — and the same rules apply to your home. Street style stars at Fall Fashion Week adopted intergalactic-inspired flourishes like glittering moon boots and silver trench coats. 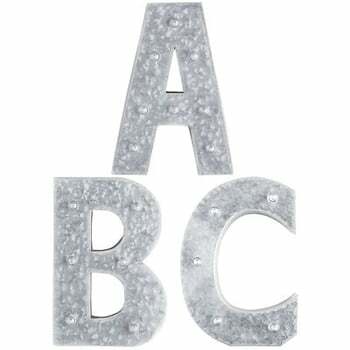 At home, customize entryways and bedroom walls with illuminated letters. 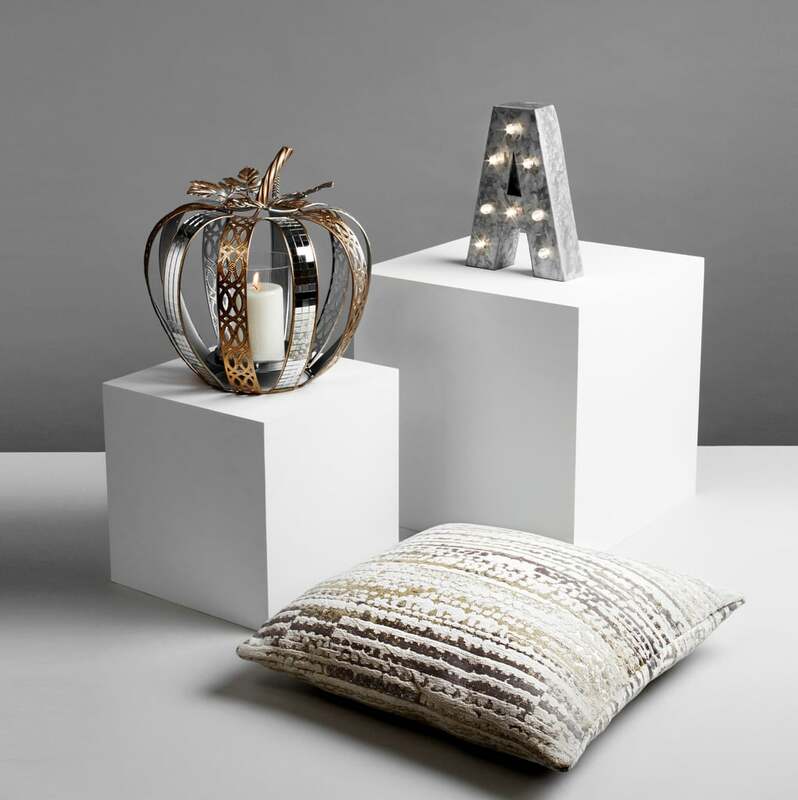 Match the muted mood of your wardrobe by utilizing metallic accents as neutrals, instead of bland beige or cream. 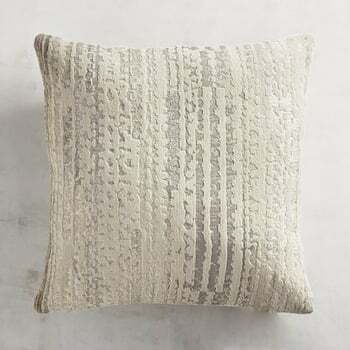 A pillow with interwoven silver and beige hues melds glitz with polish. Heavy metal accents were featured prominently on the catwalks at Fashion Week, from simple bracelets to statement ear cuffs. 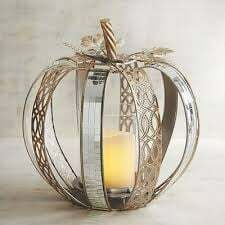 Embrace the look at home with a posh pumpkin candleholder in silver. 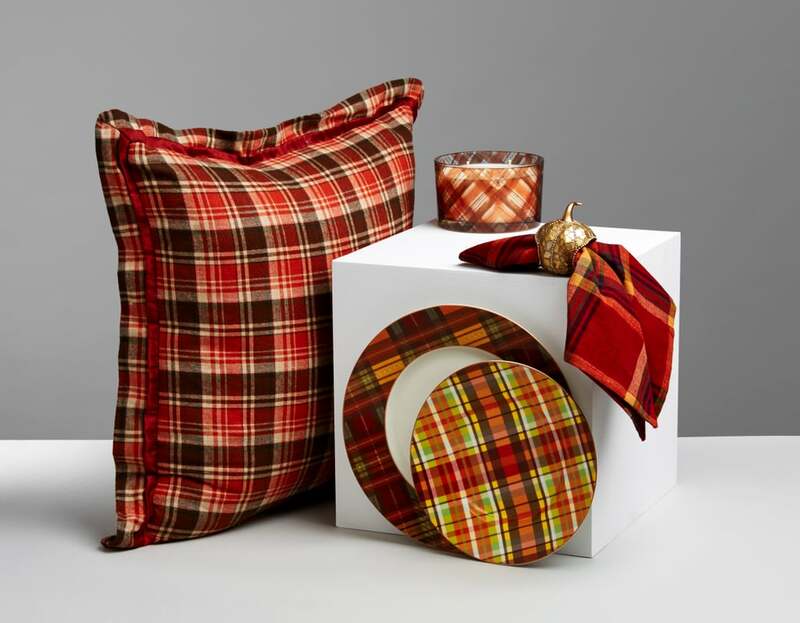 Autumn has always been synonymous with chic plaid duds, and the pattern easily translates into cozy, decorative accents that are ideal for cold-weather hibernation. Flared plaid pants and chic plaid shirts, both hallmarks of '70s style, appeared on the catwalks and on the streets this Autumn, informing fashionistas everywhere that the trend is here to stay. If plaid is your favorite pattern for Fall, who says you can't match your couch to your attire? 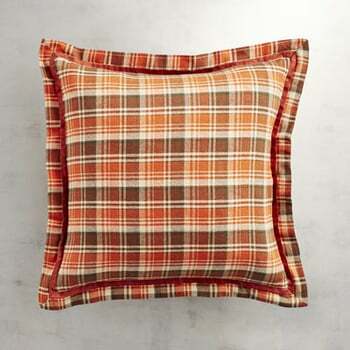 Toss a plush plaid throw in shades of orange and red over your couch to keep the cold at bay on chilly nights. A plaid-on-plaid suiting ensemble only looks better when paired with plaid pillows, so grab two or three for your couch. 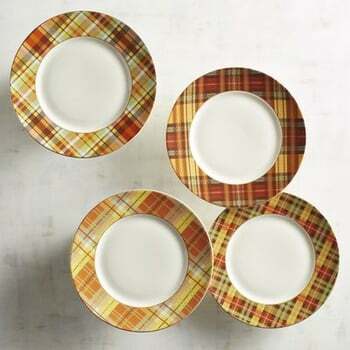 Add intrigue to your tabletop by mixing plaid plates with a solid-colored runner in a complementary shade. If your closet is overflowing with lush, romantic floral maxi skirts and printed blouses, lean into faux flowers for a fashionable fix that you can enjoy every day. The trend came alive at Fashion Week in the form of sheer floral blouses, floor-grazing gowns, wide-legged floral-printed pants, and printed silk robes. Instead of a flower crown for your hair this season, create floral chains for your wall to enliven any paint job. Ribbons and moody florals are a match made in heaven, whether on a dress or in your home. 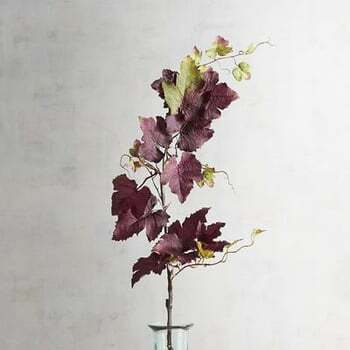 Style a bunch of faux flowers in a simple glass vase finished with a black velvet ribbon to add edgy elegance. 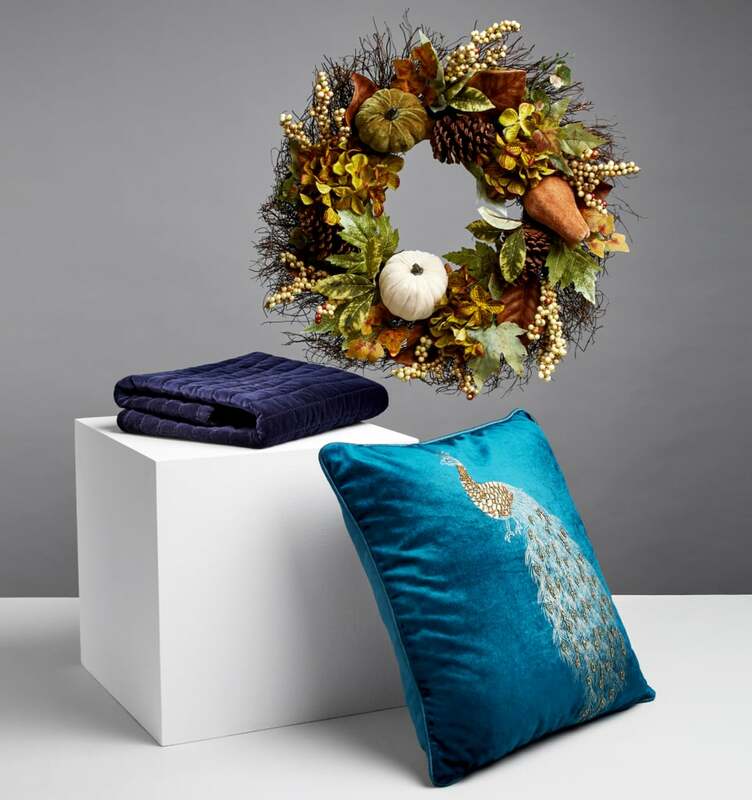 An opulent material that looks as luxurious as it feels, velvet is taking the fashion world — and your home design — by storm this season. From millennial pink velvet loafers to cobalt blue velvet blazers, the trend was everywhere and shows no signs of going away. 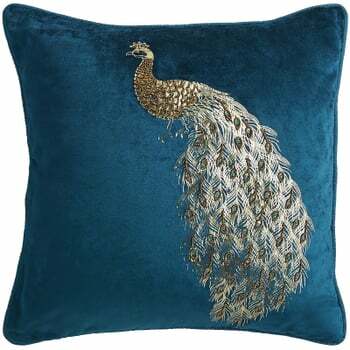 Try adding a teal pillow to your bedroom for a jewel-toned pop of color. 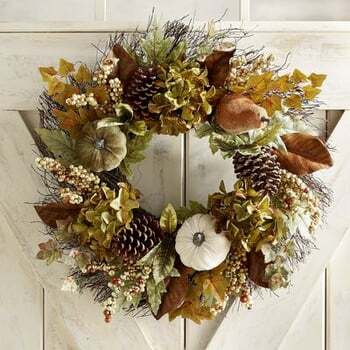 Just as a velvet brooch or headband will polish off a statement ensemble, so too will a seasonal wreath with velvet accents enhance your entryway and give a warm welcome to all who enter. The only thing cozier than a velvet coat is curling up with a plush velvet blanket at home. Leave your blanket draped across a couch for binge-watching sessions or in the bedroom for a cozy night's sleep. Ready to explore even more decor? 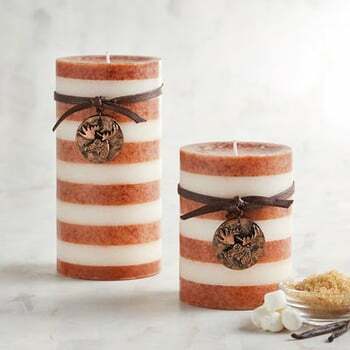 To shop all of the products shown in the article, click here or visit your local Pier 1. Get free shipping on orders over $49+ or free in-store pick-up on all orders.